GLOBALLY, THERE HAS been more than a ten-fold increase in the number of children and teenagers with obesity in the past four decades. In Ireland, this is no different, with 10% of boys and 9% of girls obese, compared to just 1% in 1975. Stats published in the Lancet said that 31% of boys, and 30% of girls, were overweight in 2016, compared to 10.1% and 8.8% in 1975. The proportion of children and teenagers in Ireland has halved since 1975, falling from 12% to 6%. We rank 79th out of 200 countries for the prevalence of obesity. We have fallen two places to 58th in the table of countries with the highest incidence of overweight teens. There has been an increase from 5 million obese girls in 1975 to 50 million in 2016, and from six million to 74 million boys, according to a new global analysis of trends in child and teen obesity in 200 countries. Rates of child and adolescent obesity were highest (over 30%) in some islands in Polynesia, while around 20% were obese in the US and some countries in the Middle East and North Africa (Egypt, Kuwait, Qatar and Saudi Arabia) and the Caribbean (Bermuda and Puerto Rico). The study, led by Imperial College London and the World Health Organisation, brought together data from 2,416 studies involving 128.9 million participants worldwide, including 31.5 million children and teens aged five to 19 years to estimate trends in body mass index (BMI). Excessive weight gain in children and teens is linked to a higher risk and earlier onset of chronic diseases such as type 2 diabetes, worse psychosocial and educational outcomes, and lifelong damages since weight loss is difficult to achieve. “While average BMI among children and adolescents has recently plateaued in Europe and North America, this is not an excuse for complacency as more than one in five young people in the USA and one in 10 in the UK are obese,” study author Dr James Bentham of University of Kent said. Additionally, rates of child and adolescent obesity are accelerating in east, south and southeast Asia, and continue to increase in other low and middle-income regions. In addition to the 124 million children and adolescents classified as obese in 2016, 213 million children and teenagers were in the overweight range. The authors of the study noted that additional work needs to be done across the world to ensure that obesity can be properly dealt with. They said that policies to prevent childhood obesity in entire countries and communities need to be matched by improved treatments, such as behavioural therapy to change diet and exercise, screening and management of hypertension and liver problems, and in extreme cases, bariatric surgery. “While there have been some initiatives led by governments, communities or schools to increase awareness about childhood and adolescent obesity, most high-income countries have been reluctant to use taxes and industry regulations to change eating and drinking behaviours to tackle child obesity,” Professor Majid Ezzati, study author from Imperial College London said. Most importantly, very few policies and programmes attempt to make healthy foods such as whole grains and fresh fruits and vegetables affordable to poor families. Despite the increase in child and adolescent obesity, globally more children remain moderately or severely underweight than obese, with 75 million girls moderately or severely underweight in 2016, along with 117 million boys. Almost two-thirds of the world’s children and teenagers who are moderately or severely underweight lived in South Asia. Meanwhile, the average BMI in 2016 was lowest for boys and girls in Ethiopia. It was also low in Niger, Senegal, India, Bangladesh, Myanmar and Cambodia. 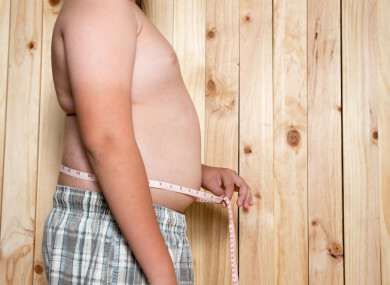 Underweight among children and adolescents is linked to higher risk of infectious disease. For girls of childbearing age, it’s associated with adverse pregnancy outcomes including maternal mortality, delivery complications, preterm birth and slow growth. Between 1975 and 2016, the prevalence of moderate and severe underweight decreased from 9.2% to 8.4% in 2016 for girls, and from 14.8% to 12.4% for boys. This means that the rate of increase in obesity in children and teens is greater than the rate of decline in undernutrition. There is a continued need for policies that enhance food security in low-income countries and households, especially in South Asia. “But, our data also show that the transition from underweight to overweight and obesity can happen quickly in an unhealthy nutritional transition, with an increase in nutrient-poor, energy-dense foods. Our findings highlight the disconnect between the global dialogue on overweight and obesity, which has largely overlooked the remaining undernutrition burden. Email “In 1975, one in every 100 Irish children was obese. Now, it's one in every 10”. Feedback on “In 1975, one in every 100 Irish children was obese. Now, it's one in every 10”.